Michelle Madow: VENGEANCE RELEASE DAY! Finally, the day is here! Vengeance, the story that bridges Remembrance and the third book in the Transcend Time Saga, is released! The Kindle version is available on Amazon. The print version is available on Amazon. The Nook version is available on B&N. The e-version is $0.99, and the print version is $5.99. 1) Everyone might think Lizzie’s an angel, but I knew better. She was selfish, and she was going to pay. 2) Even though every logical part of my brain told me it was impossible, it felt real. 3) Drew owed me a better explanation about what he did, and why he did it. 4) Life wasn’t a fairy tale, and I had no problem doing what was necessary to get what I wanted, even if it meant playing dirty. 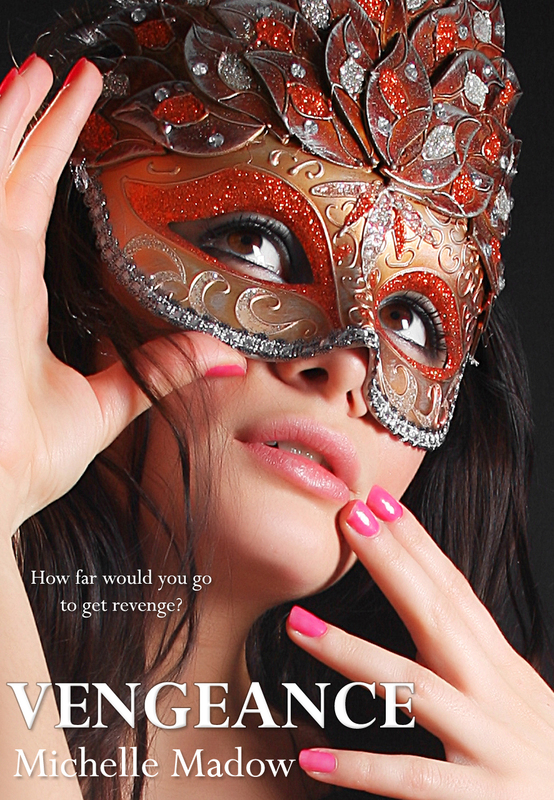 If you haven't added it yet, be sure to add Vengeance to your Goodreads to-read list! THANK YOU for your awesome support! You all have been great, and I hope you enjoy Vengeance! Cannot wait to read this "mini" story, Michelle. I'll be ordering from Amazon over Christmas, so I'll have to grab a copy. Cannot wait to find out who book 3 is about.